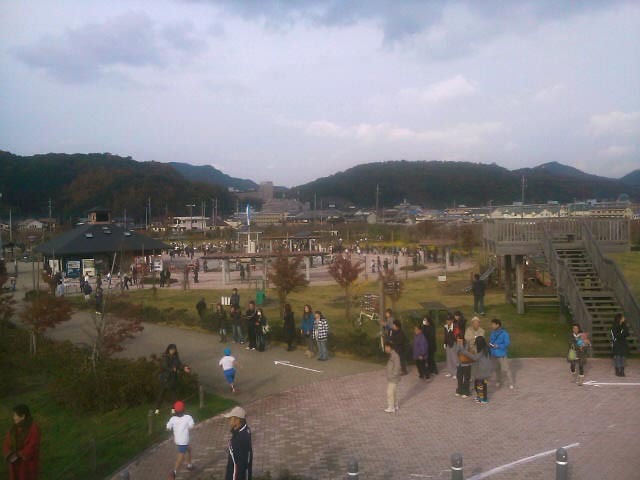 Today, at my Elementary School, they had a morning long ‘marathon festival’. I would liken this to when I was at High school. 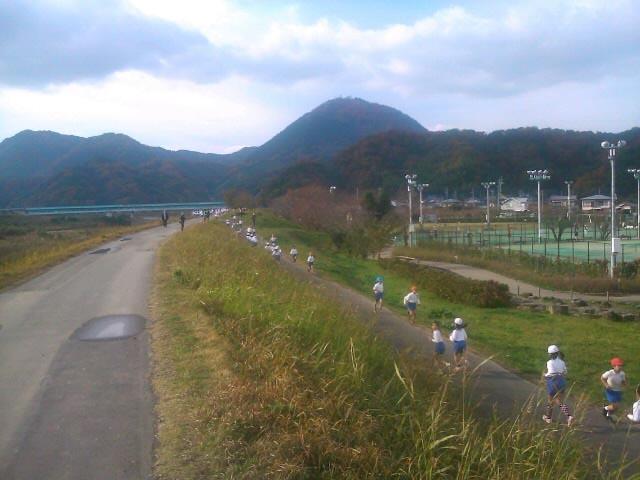 Every winter, we would have Inter-house cross country, but in reality they ran for about 10 minutes along the river and back. This was the same kind of thing. Cold weather and reluctant kids being cheered on by their parents and teachers. I ran with the first graders for moral support, but I think the running with the other grades would have embarrassed me. They are FAST! My JHS has their marathon festival, and I will be there strictly in a non racing capacity! Guess what you would have seen on a clear day...?! Previous Post Sunday bike ride. Next Post Vita Vita! Linda Linda Linda!